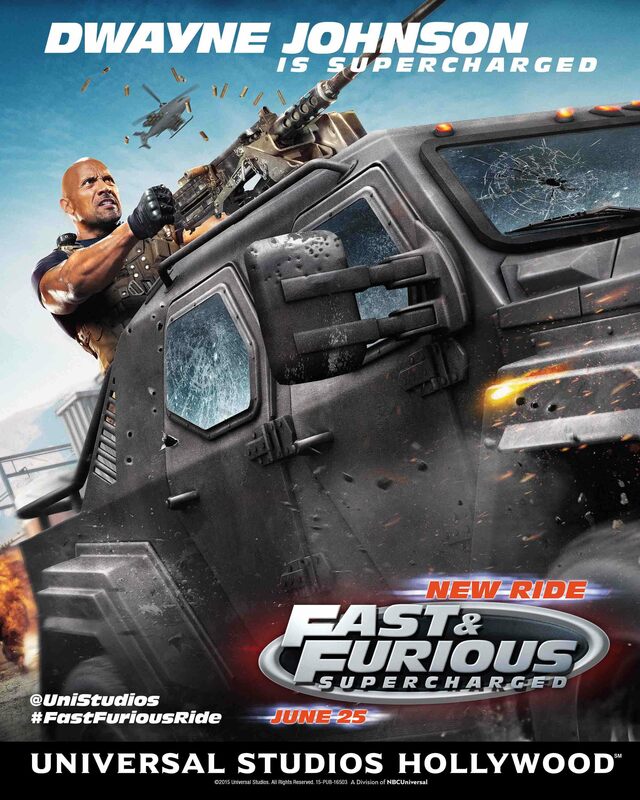 Fast and Furious: Supercharged Poster - Dwayne Johnson. . HD Wallpaper and background images in the Fast and Furious club tagged: photo fast and furious supercharged ride universal studios theme park 2015 poster hq dwayne johnson the rock luke hobbs.